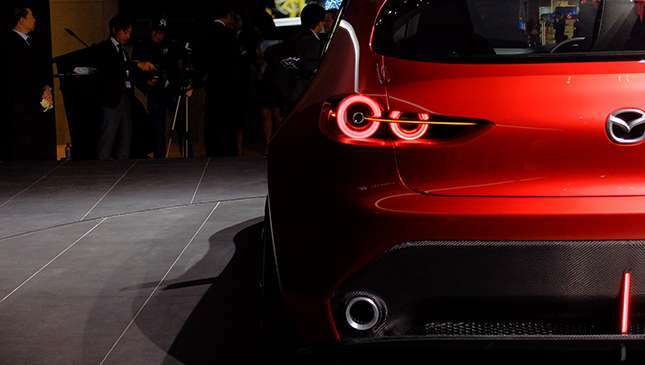 “I am not allowed to provide you details.” This was the answer of Mazda Kai Concept design head Yasutake Tsuchida when asked if his creation would become the next-generation Mazda 3 compact sedan in the near future. Fair enough, it’s still too early. 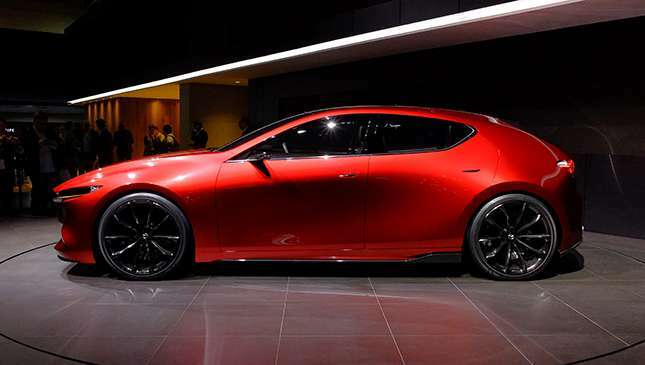 But would it be wrong assume anyway since he worked on both the first-gen and current Mazda 3? But enough speculation. Let’s talk about what we do know. 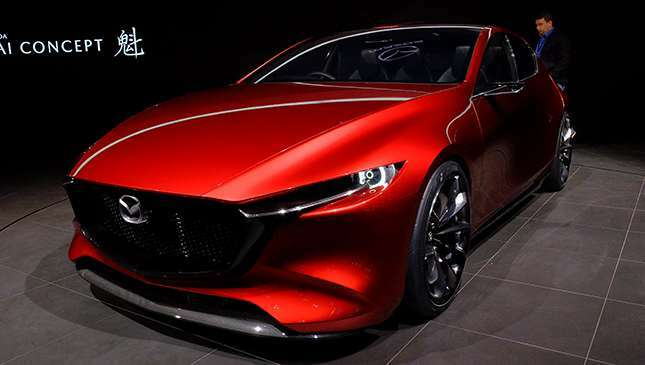 Like the Mazda Vision Coupe concept revealed last night, the Kai has done away with most of its character lines and edges in favor of a clean “less is more” type of design language. 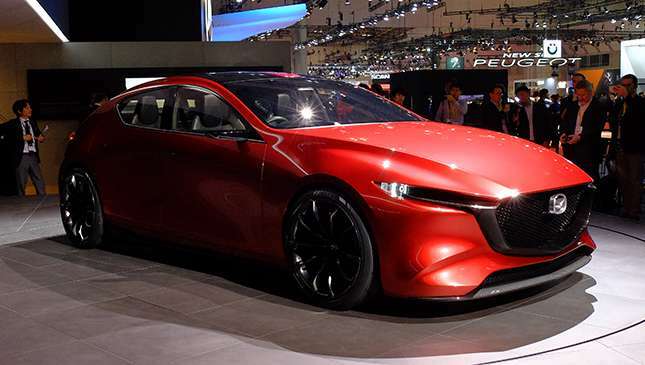 Simple is what Mazda says it’s going for here at the 2017 Tokyo Motor Show, and with the Kai, the company’s designers have achieved this. 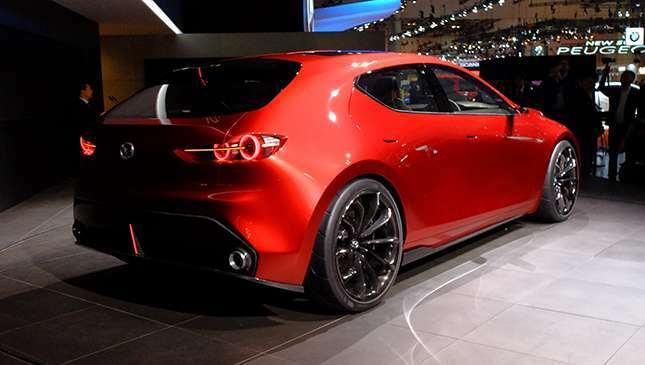 Another thing: This is a four-door hatchback. 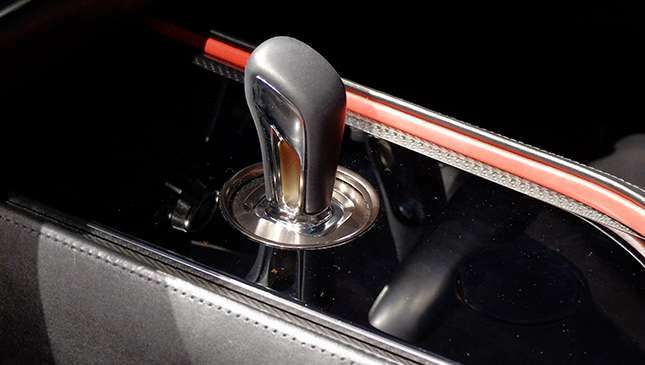 That last bit you might not notice immediately as the door handles are hidden and pop out with a touch. Also, the word Kai is Japanese for spearhead or pioneer. Why the name? 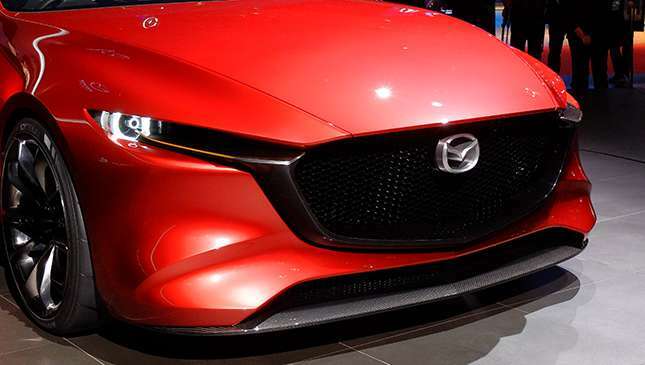 Well, maybe because the vehicle runs on Mazda’s revolutionary new Skyactiv-X powertrain. 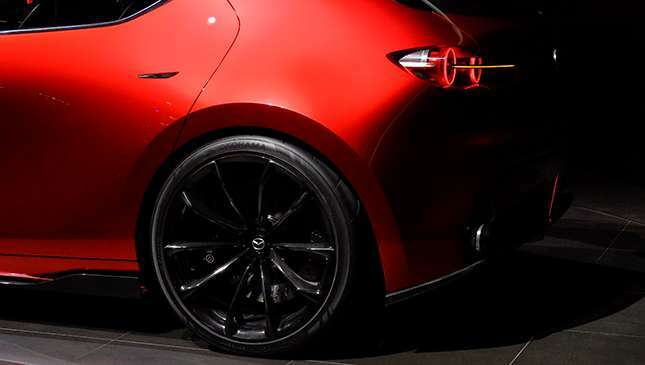 The concept will “set the stage for the next generation,” Mazda says. 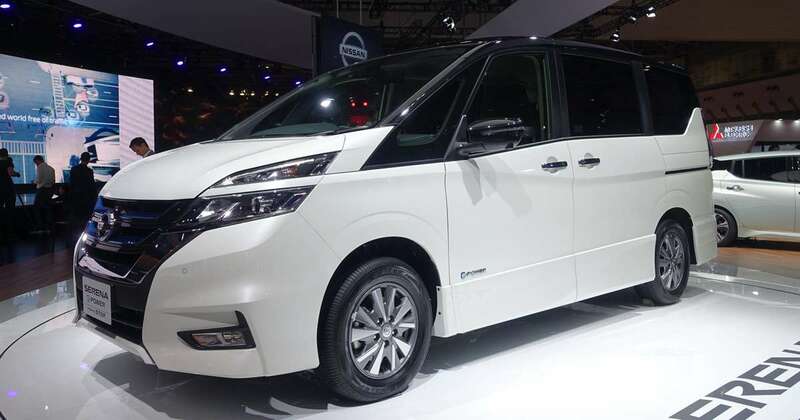 It shares many elements with the bigger Vision Coupe, too. 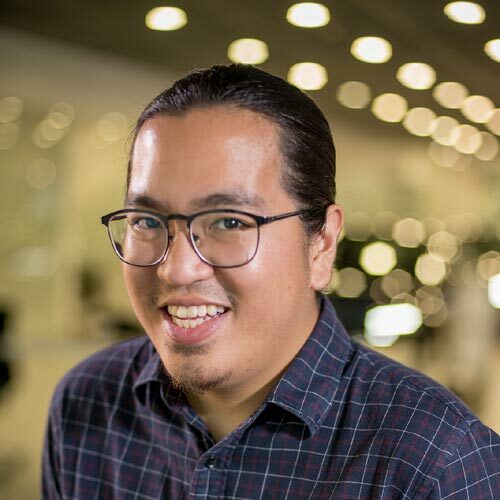 The side mirrors have been replaced with sleek cameras, there’s an enormous rear-windshield, the hood is elongated, and as the conference hall’s lighting just makes the Kai look absolutely incredible. We also like that this one’s in red. 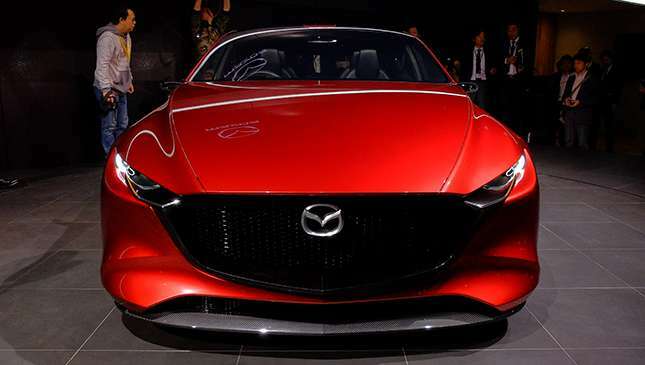 In contrast to the car’s elegance, Mazda’s gone with a more aggressive look for the front. 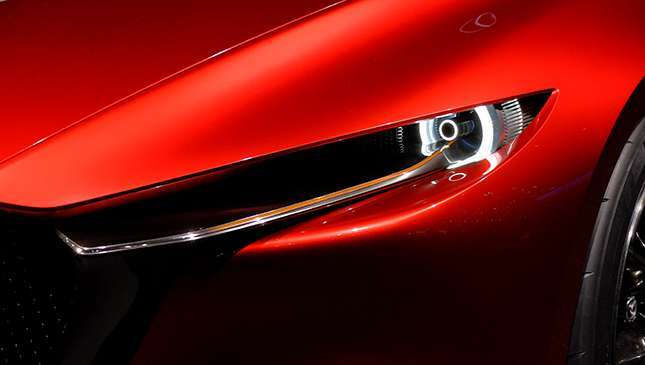 The headlights, as with the Vision Coupe, look very similar to the CX-5’s, and the same goes for the grille. One of the things we love most about the Kai are the edgy, futuristic turn signals--they’re mesmerizing to watch. Finally, the interior is minimalist, but has a fair bit more going on compared to the outside. 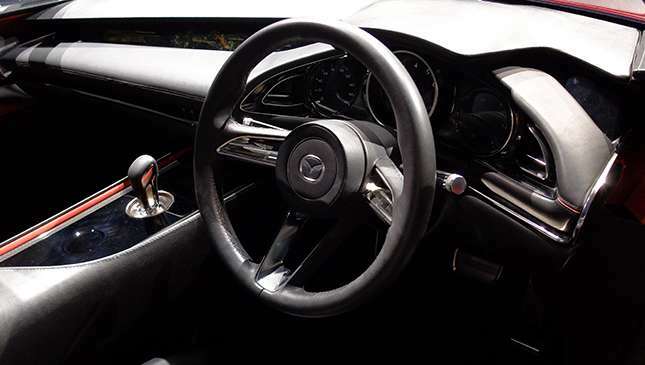 There’s an infotainment screen that stretches along the dashboard, a classy driver’s zone, beautiful gauges, and a snazzy shifter sitting quietly in the middle of it all. 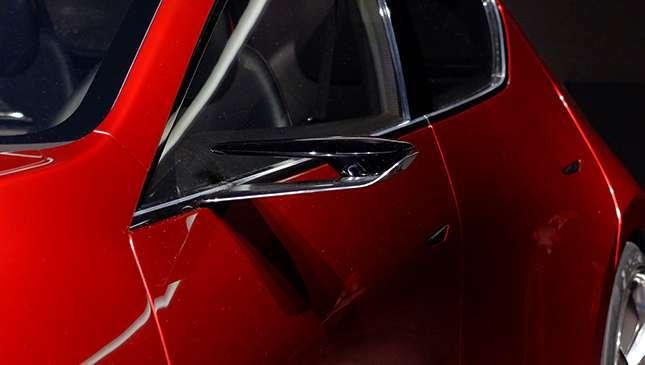 The car’s red paintjob carrying over inside via trim is a nice touch as well. 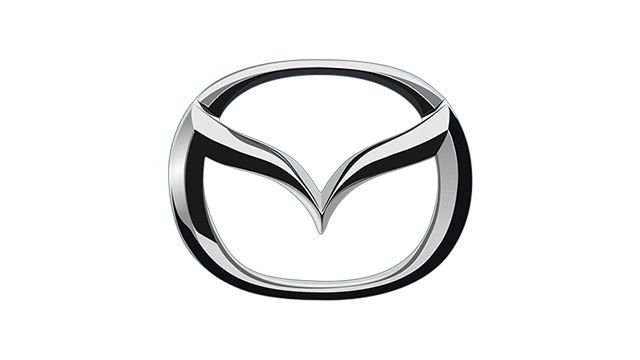 So… not a Mazda 3. At least not yet officially. 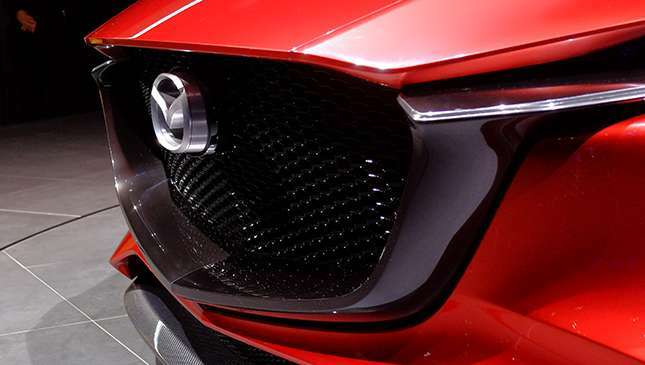 We’ll have to wait a bit longer to know for certain, but we’d love to see touches of this concept to carry over.